Welcome to the Boulders Inn & Suites hotel in Clarinda, Iowa. Boulders Inn & Suites affords guests exceptional comfort, minutes away from downtown. 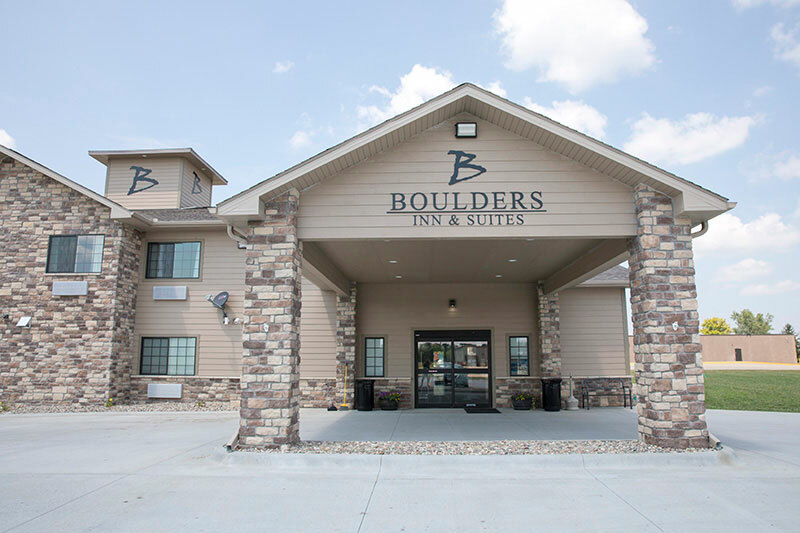 Whether you are planning a golf weekend, a romantic getaway or a business retreat, Boulders Inn & Suites in Clarinda, Iowa offers the “Elevated Comfort” necessary for you to be at your very best. Our contemporary guest rooms and suites are elegantly appointed, are well lit and offer a light atmosphere with comfortable furnishings. Discover more about the hotel amenities offered at Boulders Inn and Suites.